Bring your pawn items to A&S Pawn and Used Jewelry in Lynn, Massachusetts, to receive cash on the spot. We offer consignment sales to find the highest-paying buyer for your valuables. When you want to sell your unwanted items, come to our store for the best offer in town. We buy a variety of items, including antiques, jewelry, collectibles, and coins. If you have collectible coins that you want to get rid of, such as Morgan dollars, graded, or gold coins, we offer competitive prices. 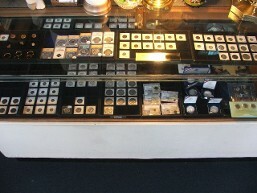 Fair prices are also offered for pre-1964 silver coins. Instead of throwing out your broken jewelry, sell your pieces to us. Our shop buys antique and estate jewelry, including .14K gold and sterling silver, gemstones, as well as diamonds. Receive cash for your sports memorabilia and collectible cards. We are looking for early-graded baseball cards and autographed sports collectibles. Toys from the early 1950’s are a favorite of ours, especially wind-up and battery-operated tin toys from Marx. Sell your Lionel™ trains and lead soldiers to us for easy money. If you are looking to redecorate your home and have art to sell, we buy original signed and numbered pieces from listed artists. Our team accepts paintings, etchings, and lithographs. Each piece of artwork is appraised to determine the exact value. Depending on the value, we give you a cash offer that is higher than our competitors. When you want the full price for your valuable items, but do not want to sell them yourself, consider letting us sell them as consignment. Let us find the right buyer for your hard-to-sell items. 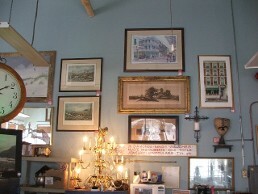 Our shop accepts high-end and unusual pieces, such as famous artwork and antique furniture. We negotiate a fair price when the item is bought to give you the best offer. Receive the most money for your items with our consignment sales.